Need more information? Get a quote or request a sample. We strive to make it as easy as possible for our customers and any other parties interested in our company, products and services to connect with us. Our products can be ordered directly by contacting us at our headquarters in Woburn MA, just a short drive outside of Boston. Alternatively it is possible to buy our products from a range of international distributors. Fusion Optix is based a short drive from Logan International Airport and is close to downtown Boston MA. Our office hours are 8.30am to 5.30pm Eastern Time. We encourage our customers to visit us often to meet and share ideas. Fusion Optix is happy to provide sample kits free of charge. Our only request in return is that you pay for any shipping costs. You can also reach us by calling +1.781.995.0805 or emailing info@fusionoptix.com. 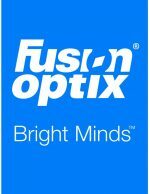 Fusion Optix currently sells direct to our OEM customers in North and South America. Outside of the Americas we have established a network of distributors in most of the world’s major trading regions. Click below to see the full list of distributors by region. Products to unlock the full potential of LEDs by maximizing optical efficiency while at the same time reduce costs by innovating in materials and manufacturing. 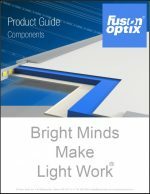 Fusion Optix is one of the world’s leading LED lighting technology companies with a unique range of light management components and LED light engine products. Profiles, films, sheets and optics to diffuse, shape, reflect and manipulate light and color for LED lighting applications. 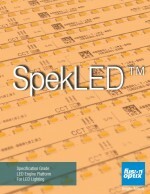 Specification grade LED light engines, boards and tape for technical, architectural and commercial lighting applications. 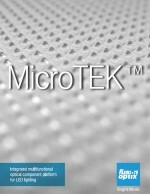 Samples are typically provided free of charge (ex. shipping costs).